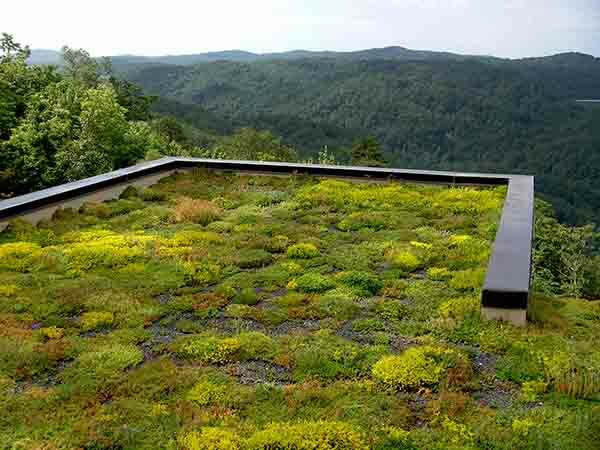 Cantrell Mountain | residential | Living Roofs Inc. Sweeping valley views from a mountainside perch. design of the house to minimize its impact visually and environmentally. As a result, the home is not visible from a distance and is visually integrated into the site itself. 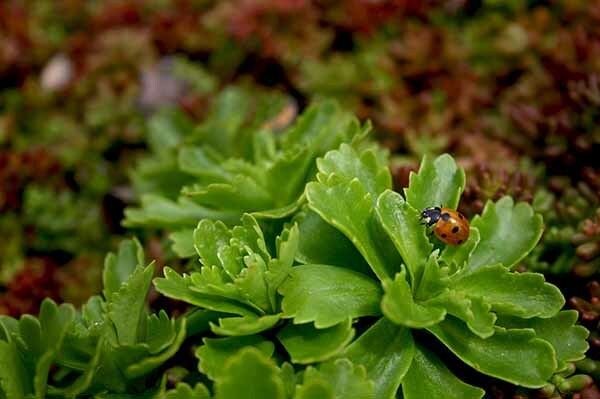 Lightweight Xero Flor pre-vegetated mats were used to reduce the increased dead load and to provide an immediate green roof effect; 80% plant coverage at installation.